If you missed it on Wednesday, it’s your second chance to see the show! The Rahbani royalty of music in Lebanon are presenting the family’s best music with the National Symphony Orchestra of Ukraine, a full choir, and stars Ghassan Saliba, Ronza, Hiba Tawaji, Simon Obeid, Nader Khoury and Elie Khayat. Details. BLVD 44 brings the beach to you, right in the club! This new summer theme night is all about beach balls, water guns, and loads of shots. Added bonus: Ladies can get into their swimwear and drink on the house. Details. Hailing from France, reggae band Dub Inc is coming to perform at the St. George Bay starting at 6, all the way through sunrise and well into the night. Their music has been influenced by African and Arab music and they sing in French, English, Arabic and Kabyle, mixing styles including dancehall, dub, ska and rap into their tunes. Details. Spend a night at the incredible old Beiteddine Palace with beautiful music from Syria. Artists Kinan Azmeh, Ibrahim Keivo and Rasha Rizk will show you the colors and richness of Srian music, from traditional, to classic, to contemporary. Friday’s Electric Sundown nights at Iris Beach are a heap of fun and there’s always a great DJ mix up around to make it musical heaven. This week it’s trio PFZ that are making it hot: Pablo Abouzeid, Fady Ferreye and Ziad Ghosn. You know them from B018, now see them at a nighttime beach party. Details. The Hurly Burly experience is going up a notch, now with Volume 2. The night of mayhem doesn’t happen often, but when it does it’s worth waiting for. This time it’l feature B018 favorites Fady Ferraye, Pablo and Ziad Ghosn. Details. 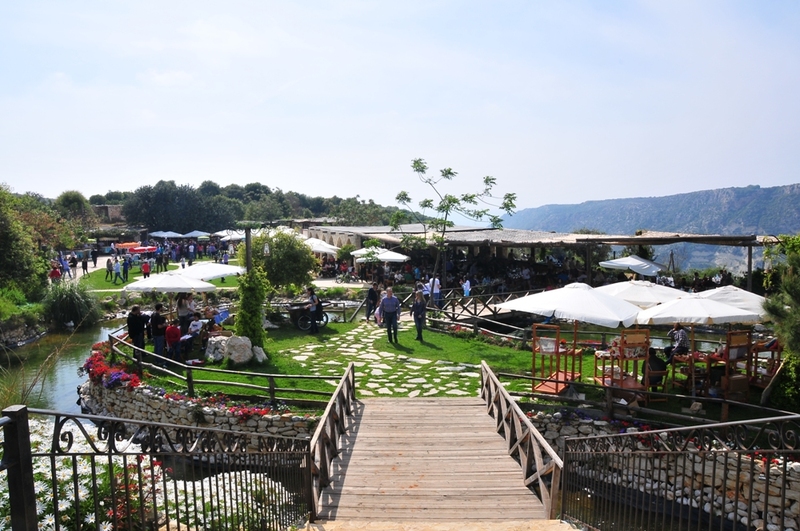 The stunning Araoon Village in Batroun is the perfect place to spend the day with family, friends and food. Throughout spring and summer an open Lebanese and international buffet is available, along with games for the whole family. Details. The new venue in BIEL is teaming with fun stuff every weekend. On Saturday night come early for an outdoor movie screening of Easy Rider and stay late for awesome underground beats by international DJs Matt Tolfrey and Gavin Herlihy. Details. Meow! Sporting Club is hosting these C U NXT Saturday parties every week and this time Cotton Candy is collaborating. Expect a ring for cat fights (there are even rules!) and lots of amazing beats when Jade goes up agains DJette. Details. The trendy bar and restaurant on the Dbayeh seaside is the place to be on any day of the week. Every day there’s something different… From live music on Wednesday nights, Modjo every Saturday night with DJ Neo, Happy Hour specials from Tuesday to Sunday, and more One Thousand & One Night theme nights planned with Said Mrad, the place is always buzzing. Check it out! At beautiful, scenic Deir el Qamar Star Academy alumna Cynthia Karam will be performing a night of oldies music outdoors at the Musee de Marionnette. Details. He’s one of the most innovative and influential flamenco guitarists over the last 40 years and it’s your chance to see him performing live at the majestic port of Byblos. Don’t miss this legend in concert at the Byblos International Festival. Details. Another festival currently in the spotlight is the Zouk Mikael Festival, taking place in the town of the same name just north of Beirut. On Wednesday night French crooner Pascal Obispo will be serenading the crowd with his French hits. It keeps getting hotter so to beat the heat why not try some of the famous lemonade from Batroun. The northern town is known for its fresh lemonade, and even set a Guinness World Record last year for the largest cup of lemonade! Plus it’s a beautiful town to visit, with lots of beaches and sea-side eateries and fish restaurants as well as scenic views and historic destinations. Enjoy!